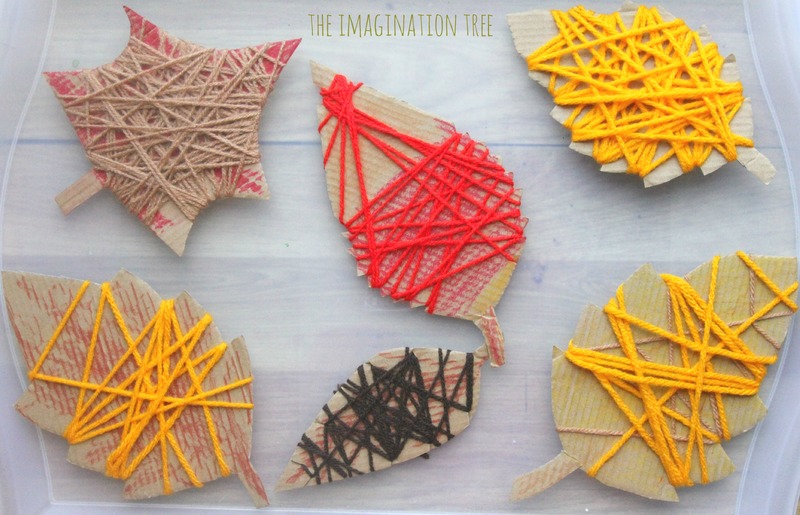 Create some beautiful yarn wrap autumn leaves as a great little combined fine motor skills and art activity! 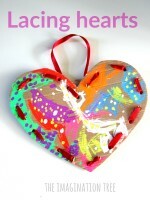 They’re good for a range of ages and look beautiful on display as a mixed media art piece too. Yarn wrapped crafts are wonderful for combining media, learning about textures, practising fine motor skills and creating unique works of art. 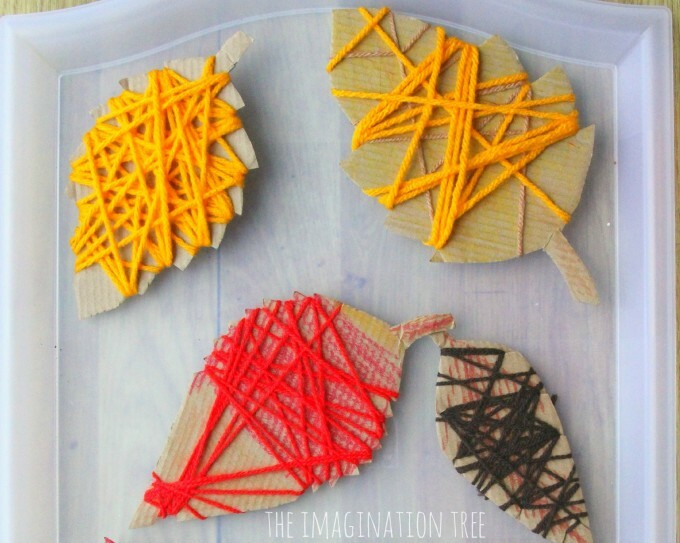 We have enjoyed a few different yarn wrap crafts over the years, including these beautiful yarn wrap hearts, yarn wrap pumpkins and, my favourite, these yarn and bead wrap christmas trees! To make these yarn wrap autumn leaves you simply need some cardboard, Autumnal coloured yarn and oil pastels (or other colouring medium.) 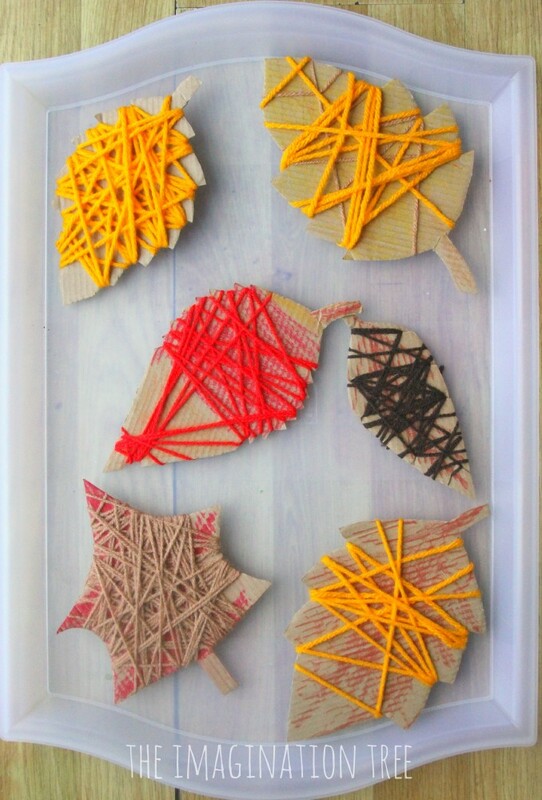 I cut out some leaf shapes from thin cardboard and set them out on a tray along with warm coloured oil pastels and small balls of yarn. 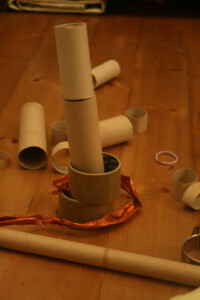 We also needed tape and scissors. 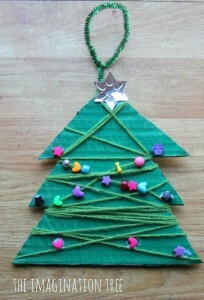 First of all they coloured their leaves then chose either watching or contrasting coloured yarn to start wrapping with. 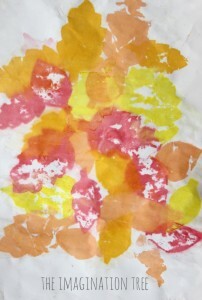 They commented that some leaves have two distinct colours in them so they often chose to combine two or more, which looked really effective once finished! 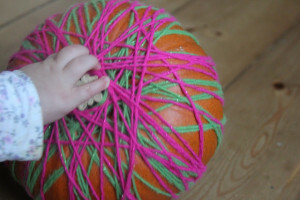 When they were ready to start the wrapping, we taped one end of the yarn onto the back of the leaf, and then they simply started to wind it tightly around, making sure to criss-cross it up and down the edges so that it became secure. 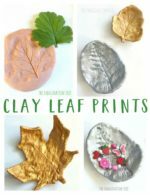 It’s important to cut some notches or jagged edges along the sides for he yearn to grip onto, which is easy enough to achieve with leaf shapes! 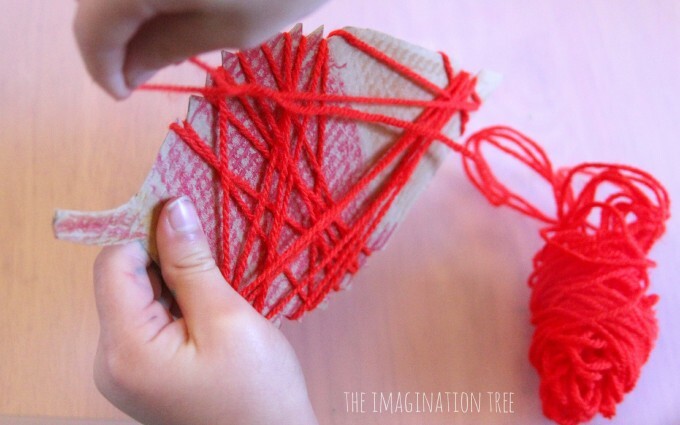 It is quite a skill to keep the yarn tight and to hold on with two hands, so a great fine motor skill activity for young and older kids alike. 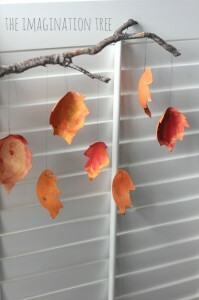 The finished leaves looked beautiful and will hang up in our window display for Autumn! 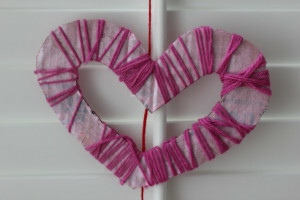 These would look just as lovely in Spring colours too. 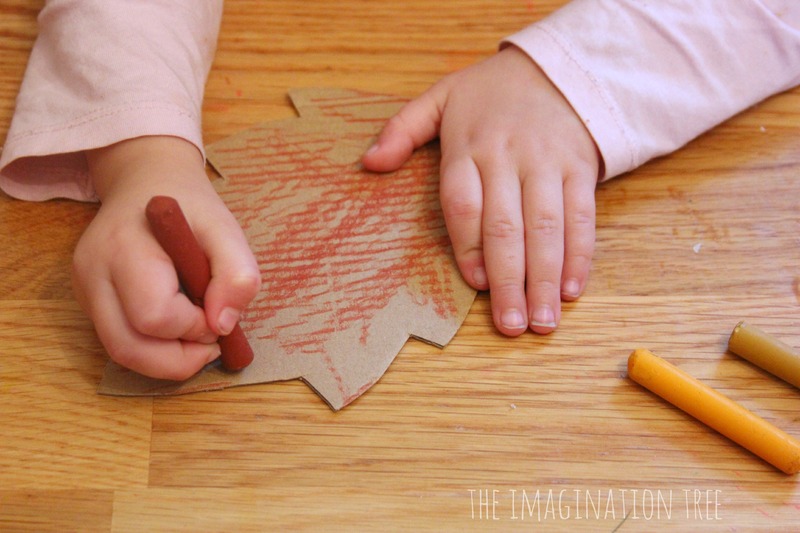 See all our Autumn Play and Learning ideas here. 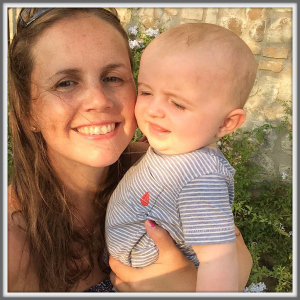 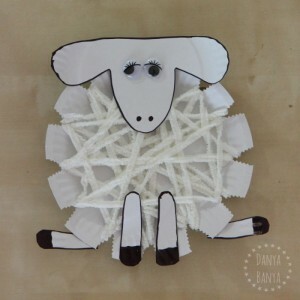 Follow our Art and Craft ideas here too! 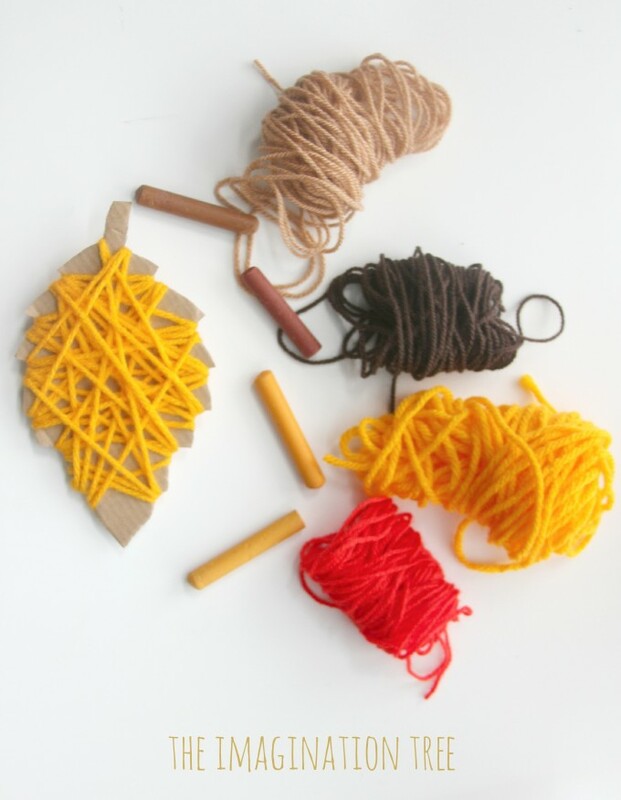 Here’s a quick visual list of our other yarn wrap crafts! 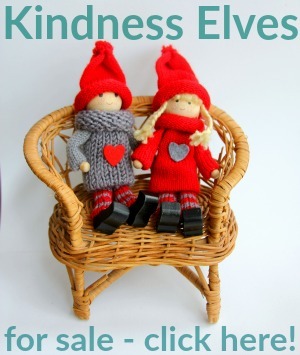 « The Kindness Elves for Sale!